(...) I don't agree with all definitions. Basically everything is house music and there are different versions. Even techno music is a different version of house music, it's a little bit faster and more aggressive. I try to be somewhere in between techno and house, and the reality is that everything is based on house. I would say I'm a house DJ for sure. And all this click-house, and micro-house and bleep-house, it's only to sell better the product, you know? At the end, everything is obeying the rules of house - the breaks, the snaps, the snare-drums, the high-hats. Everything is absolutely house. You can substitute different sounds - instead of a normal high-hat, you can use a click or whatever, but it's all house.(R. Villalobos) (...) Producer, remixer, DJ and label owner, this multifaceted artist Igor Vicente is turning into a truly global electronic music proposition. 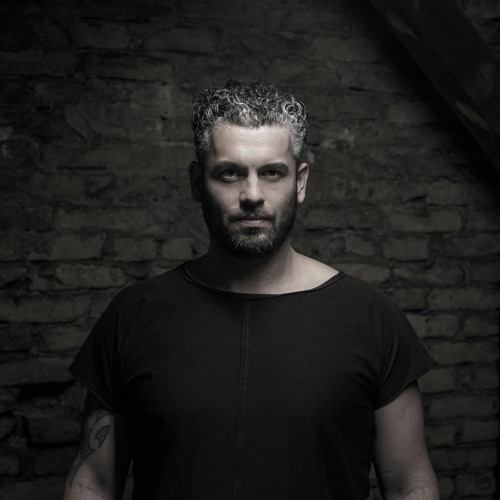 Vicente’s unique sound is built up over 4 or 5 hours creating a smooth blend of House & Techno full of effects often creating surprise in his sets. Signed with Anja Schneider’s prestigious label mobilee, there seems like nothing is stopping him. Growing up in Mons, Belgium, Vicente grew up listening to Michael Jackson, Bobby Brown KC & The Sunshine Band’s and Warren G. His passion for electronic music started in his teens when he discovered the sounds of Steve Rachmad, Richie Hawtin, Technasia, Dave Clarke, Funk D Void, Kenny Hawkes, MFF, Lance De Sardi, Brett Johnson, St Dic (RIP), Dj Sneak & Derrick Carter. It was infatuation with sound of music that pushed him to create his legendary Wildfamily parties, which saw the likes of Jamie Jones, Clive Henry, Seth Troxler, Ryan Crosson, Shaun Reeves, Matthew Styles, Sammy Dee, Matt John, Tobi Neumann, Dinky, Pier Bucci, Los Updates among other DJ friends. In 2011, Ultrasone was born and the duo started producing tracks for famous labels like Visionquest, Supplement Facts, Hot Creations and Maison d’être with remixes on Saved, Get Physical and Air London. 2013 saw Vicente put Ultrasone to bed and focus on his solo career. He has since released Hot Creations bomb, The Knight with a remix by Jamie Jones. His residencies at some of Belgium’s best clubs Café d’Anvers and Fuse have only firmly imprinted Vicente in the electronic dance music scene. With the success of his solo career flowing, Vicente founded a new brand and label ‘State of Flow’ which has gone from strength to strength and see’s it’s first vinyl release from French based trio LYE in February 2015. 2015 is set to taste of a rich upcoming year for Vicente with another release on mobilee, a remix for Uner on Supernature, a remix for Alejandro Vivanco on SoundArchitecture, a remix for Michael L Penman on Decay Records and one for Jules & Moss on Acumen’s new label. March will see an EP release on Get Physical. He currently continues to release on Mobilee records and of course the latest bomb ep “HausBoo” on HotCreations again.